Thanks you guys for all the hard work. and for making this one of the best winter series to date. Looks fast and racy, NICE! Big thx to Jonathan and Big J for helping out today with the change. Still some finishing touches like the green infield and some curb painting need to be done. We removed the kicker table top and put in a quad. Faster classes can quad while the slower ones will prob have to double double. Should be a lot better and the blind spot is pretty much gone as you can see in the pics! Open practice tues-friday 4-9pm come check it out! Thanks! i need them too! im gonna try and not be hung over for once! Good news! 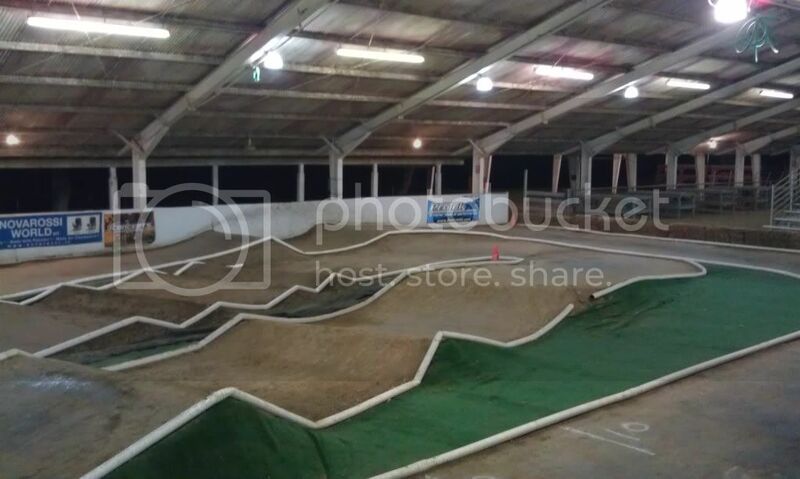 Sounds like the track change we made last week was a big hit with the racers! Traction was high with very little tire wear at all. This week we gave another change for you guys. The center table will be going away! This jump has been causing a blind spot and its time for it to go. Look for a nice little tryhm section to be there instead this week. There should be minimal blind spots after we are done. We also added some more curbing in select corners. 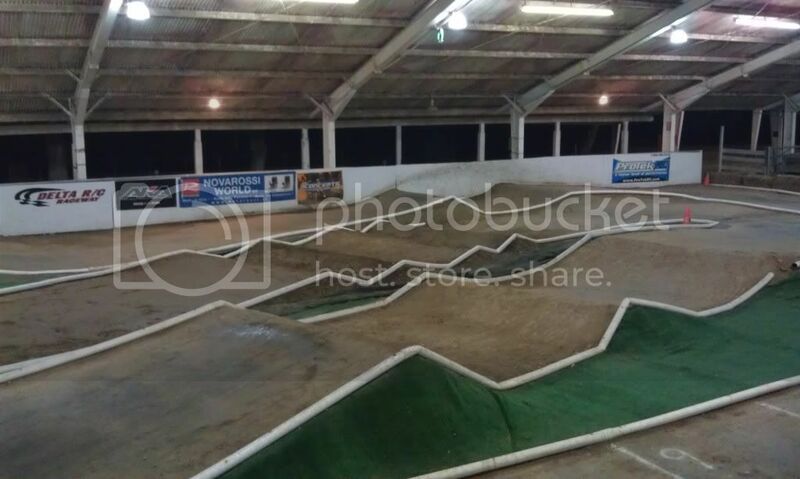 The changes will be done tonight so the track will be open as usual tues-fri 4-9pm. Thanks for all of your support. We really appreciate it. 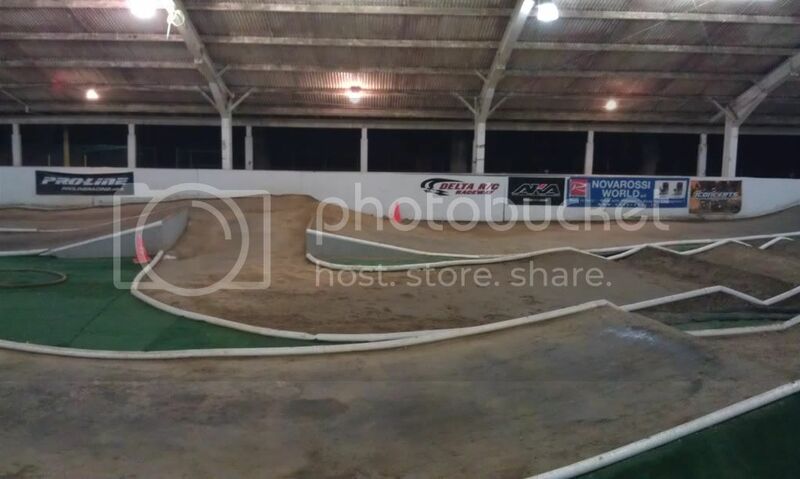 I have a couple vids of our new layout @ Delta RC I took today. hey ! alright ,let me know when ,im ready! Phillip, Ron K and I will be down tomorrow for some nitro action. Traction was really up today and tire wear was super low. Gonna be good tomorrow! J-Blake's SCGT is done and mine is on the bench! We'll have them out at our track real soon!